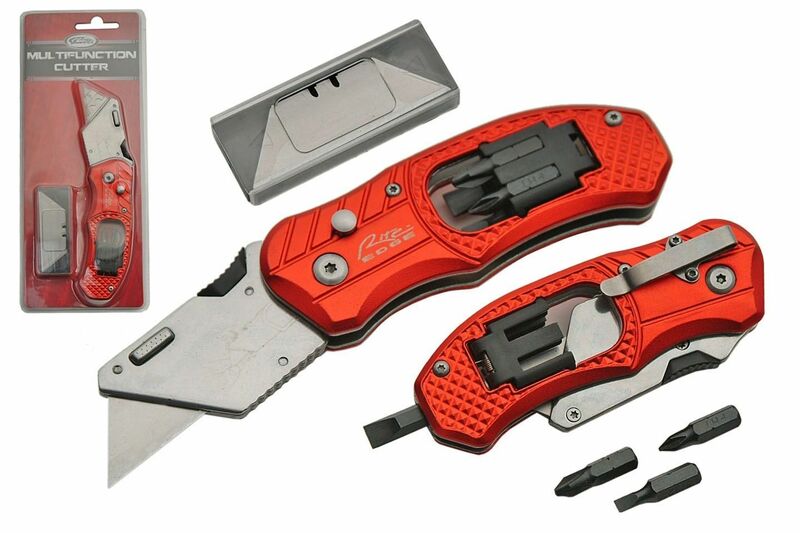 Unique Folding Button-Lock Razor Utility Knife with Screwdriver & Deep-Carry Pocket Clip! Toss your boring box-cutter aside, and have some fun on the job with this little bad boy! 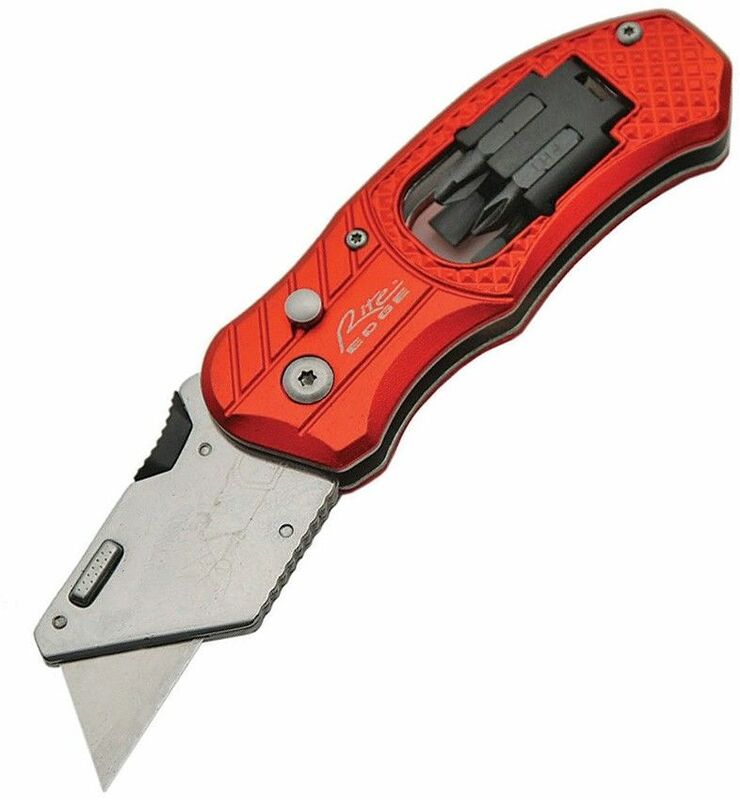 We know you'll love this awesome folding utility knife with quick-change blade replacement mechanism, button lock manual open & close action, and pocket clip. Just push in the button lock and flick your wrist to deploy. To close it, just push the button lock back in, and flick your wrist back in the other direction, keeping your fingers clear of the path of the blade. This model's one hand opening design makes it compact and convenient. 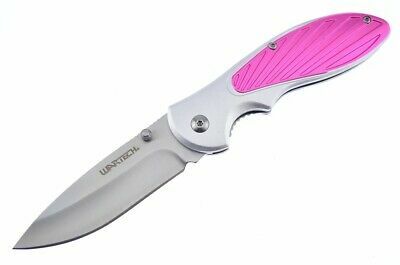 The replaceable utility / razor blade feature will keep this handy little knife sharp and ready for duty for years to come! The quality of it is heavy-duty, and very well crafted. 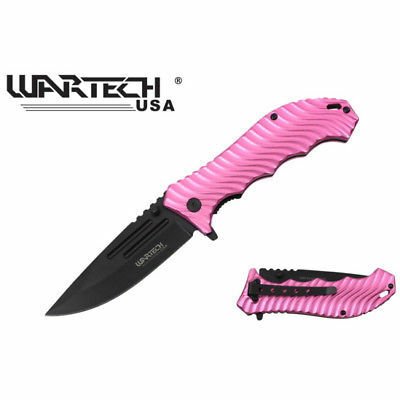 It features a durable, lightweight aluminum handle. 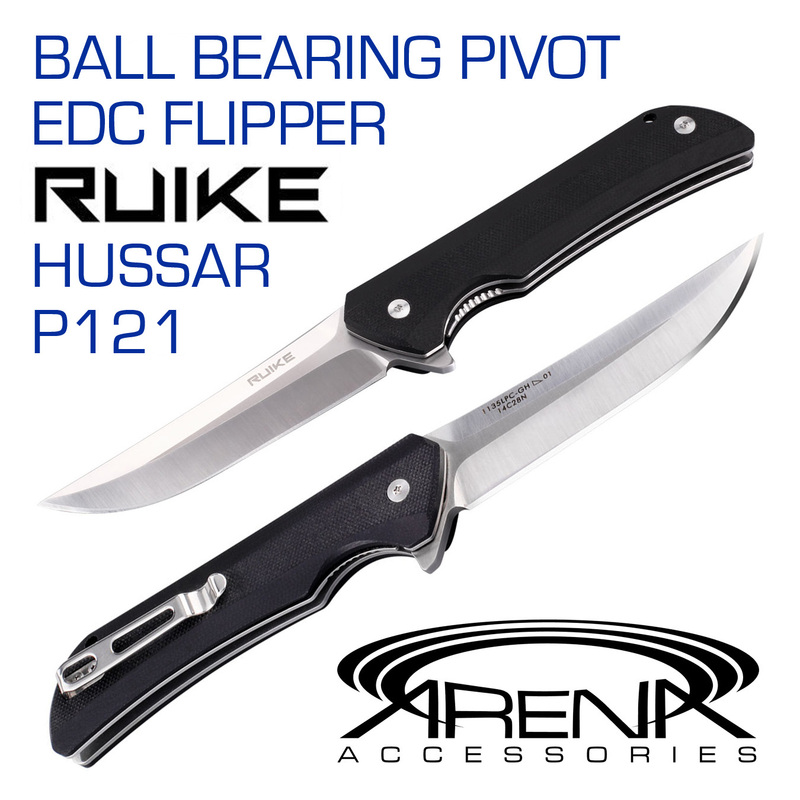 The blade can be easily changed using the patented snap lock and sliding mechanism. 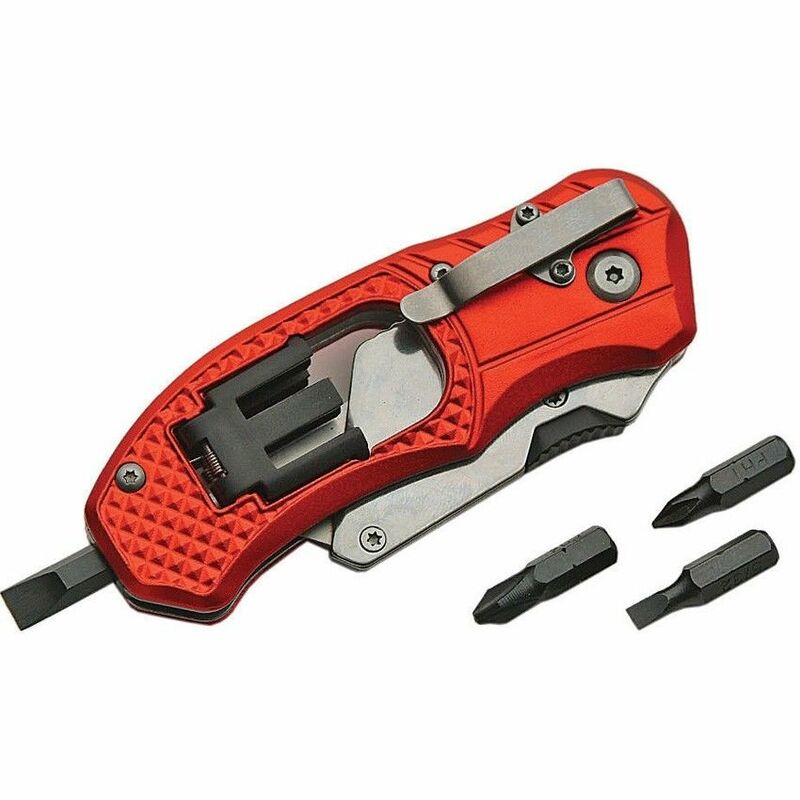 An aluminum textured grip, pocket clip and fold-out screwdriver are features of this attractive cutting tool. This model will make a strong addition to your tool collection! FREE USA SHIPPING is included in this great price!